The mission of the UC Master Gardener Program of Contra Costa County's Community Gardens Group (CGG) is to promote and advise not-for-profit edible community gardens in Contra Costa on sustainable practices and the principles of Integrated Pest Management (IPM), while working with community groups to facilitate food production and distribution to those in need. Community gardens are defined by the University of California as “any piece of land gardened by a group of people, using either individual or shared plots on either private or public lands”. More information can be found in the UC Agriculture and Natural Resources publication Community Gardens. The Community Gardens Group serves neighborhood, residential and institutional gardens in Contra Costa, with a primary focus on growing food. Neighborhood Gardens – Neighbors typically have individual plots on public or private land and typically pay a small fee for the use of the facilities. Residential Gardens – Typically shared among residents of apartment communities, assisted living facilities, or affordable housing units; responsibilities are shared among the residents living on the grounds. Plots can be individual or communal. Institutional Gardens – Typically associated with public or private organizations such as churches, hospitals, government organizations and are usually part of a larger program offering beneficial services to participants ranging from mental or physical rehabilitation, to the development of job skills, or giving access to low income families to garden. The Community Gardens Group works with new and established community gardens in the County. The group does not address the needs of individual households. The Help Desk already provides excellent service to the public in helping them with their gardening questions and problems. 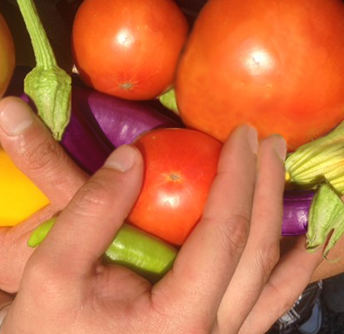 The Community Gardens Group offers its services as advisors to community gardens in Contra Costa County, subject to the availability of volunteers. We can help organize governance, evaluate the garden's conditions, direct preparation and planting of the site, and additionally can provide ongoing advice during the growing season. We do not offer manual labor, neither to help create nor maintain a garden. Our advisory and consulting services can be provided to any community garden that has an active manager or person-in-charge who will take responsibility for the garden and will act as a point person to work with our organization. A detailed list of the services we offer can be found here. Thinking of Starting a Community Garden? Starting a community garden requires planning, leadership, organization, resources and gardening knowledge. The American Community Gardening Association offers good advice in 10 Steps to Starting a Community Garden. If you have an interest in establishing a new community garden or are a member of an existing community garden that could benefit from our services, please contact our Help Desk at 925-608-6683 or email us at ccmg@ucanr.edu.